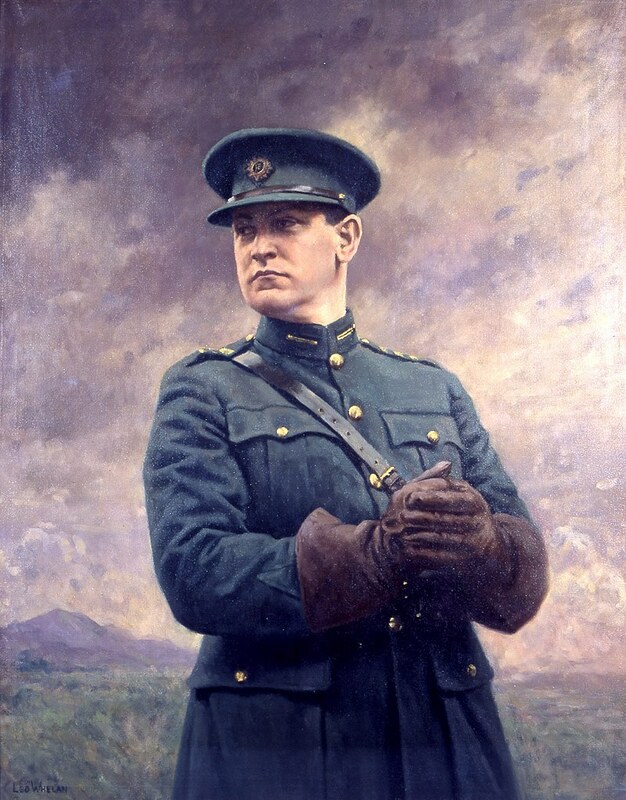 There are many who claim or seek a connection to “The Big Fella”, General Michael John COLLINS (1890-1922). I have had a look into Felicity’s family tales to see if the public record supports this. It would appear there is at least a non-genetic connection, through marriage. The FITZPATRICK family of Derryduff near Rosscarbery are recorded in various places including Coolcraheen. Felicity’s 1C2R through the family, Catherine “Kate” FITZPATRICK (1875-1913) married Denis MCCARTHY (1874-1962) of Saroo, Reenascreena in 1912. She died shortly after her marriage at Derryduff, apparently without issue. Denis remarried Kathleen J “Kate” COLLINS (1888-1956) in 1918 and the couple lived in Derryduff, the FITZPATRICK homeplace. Kathleen was the d/o Michael J COLLINS senior (1815-97) and Mary Anne O’BRIEN (1852-1907) and the sister of Michael J COLLINS, the youngest child of that family. The family lived at Woodfield, Sam’s Cross between Rosscarbery & Clonakilty. There remains a potential genetic connection to be explored as Michael & Kathleen’s mother was an O’BRIEN, as was the grandmother of Kate FITZPATRICK – Johann BRIEN (1809-94) from the same area. It will be interesting if there is any genetic match between the descendants of the FITZPATRICKs and those of the COLLINS family. Due to many local families intermarrying, further connections are possible.